SCHEMMER'S Konrad Broer and Mat Beckmann attended the Southeast Community College (SCC) Career Fair Tuesday, September 19, 2017. High school students from across Nebraska considering a career in fields offered at SCC, including 3-D modeling, were there. 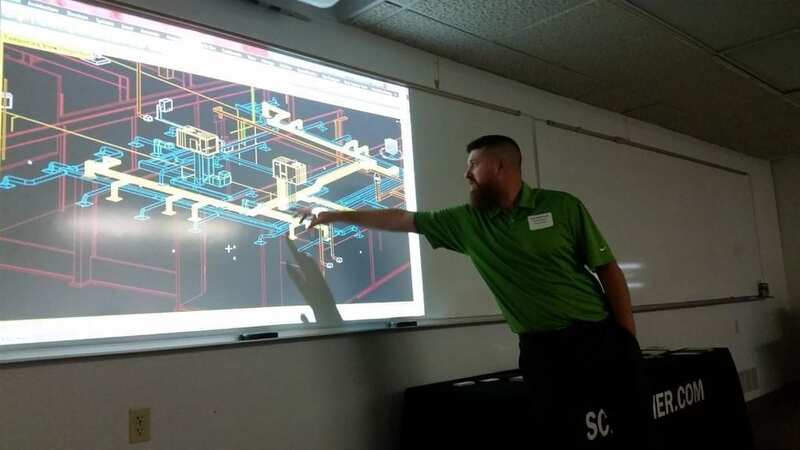 Beckman demonstrated how 3-D modeling is utilized in the design industry by showing the HVAC system for the classroom they occupied. Other fields of engineering that use 3-D modeling were also discussed with the students. SCHEMMER has five Lincoln employees with degrees from SCC.